We put man on the moon – We can get YOU to Huntsville! So you may be thinking to yourself, “Self, I’ve never even heard of Huntsville, Alabama. How in the world do I get there?” Well, let me tell you, it’s probably a lot easier than you think. I can only assume those choosing to walk here have at least a basic understanding of where their travels might take them. So, with that being said, let’s start with folks traveling via wheeled transportation. If you prefer a good road trip, Huntsville is located in the north central area of Alabama and is served by several U.S. highways, including Highway 72, Highway 231, Highway 431 and an interstate-highway spur, I-565 connecting to Interstate 65. This easy highway and interstate access can get you here from some pretty cool places with just a short drive, for instance. Prefer to let someone else do the driving? Huntsville’s Greyhound Bus Station is a super-convenient .2 miles from the event host location, Von Braun Center. So, your wheels are also your home base for the week? There are numerous RV parks located in and around Huntsville including one situated in the shadow of a rocket! Click here for a complete list including services and locations: RVs and Camping. Wheels aren’t your thing and you fancy yourself a free-spirit who prefers to ride the rails across this vast country of ours? Sadly, the only train service coming through Huntsville is of the commercial variety, but we can certainly get you into the neighborhood with train stations in nearby Birmingham (2 hours away), Anniston (2 hours, 10 minutes) and Tuscaloosa (2 hours, 15 minutes). “It’s a Bird! It’s a Plane!”… Okay, you got me, it’s a plane and it is landing in Huntsville, Alabama. Huntsville International Airport (HSV) is the largest commercial airport in North Alabama, serving more than 1.2 million passengers annually. HSV is known throughout its 18-county service region for outstanding customer service, state-of-the-art technology and convenience. 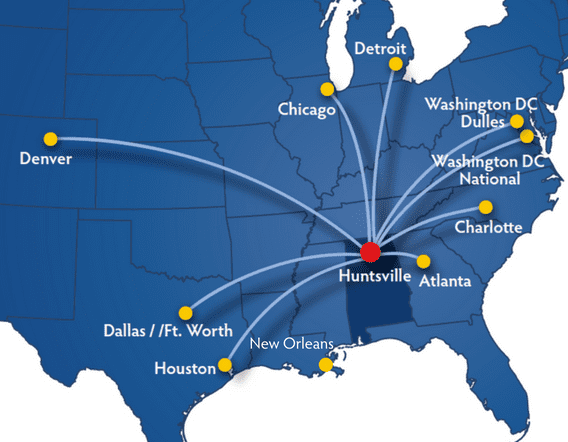 HSV has nonstop service to ten destinations, including: Atlanta, Charlotte, Chicago, Dallas, Denver, Detroit, Houston, New Orleans and two airports in Washington D.C. – Dulles and National. 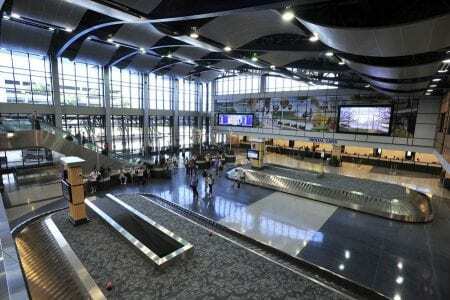 Airlines with service to Huntsville include American Airlines, Delta Air Lines, GLO and United Airlines. Finally, if you’re traveling via rocket from low-Earth orbit, we are not able to accommodate you…YET! However, if our friends at Sierra Nevada Corporation have their way, that option may be in the not-so-distant future. SERIOUSLY! 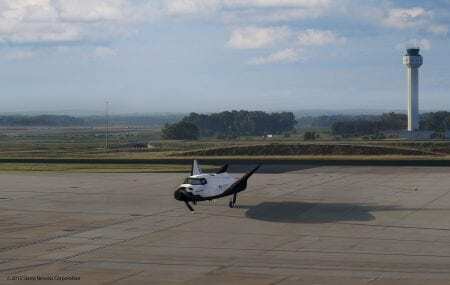 Read more: Huntsville targets Dream Chaser landings as Sierra Nevada ties grow. If you have any questions about your specific travel plans, please feel free to call for assistance at the Huntsville/Madison County Convention & Visitors Bureau, 1-800-SPACE-4-U. We’re proud to host TBEX North America 2017, May 4-6 , and we’d love to see you there! For more information on ‘The Rocket City’, check out our “Geek-tastic” post and a list of scheduled Pre-Bex Activities already planned for TBEX North America 2017. Safe travels. We look forward to seeing you soon!